The President said that when giving transfers to the police officers, including the annual transfers, policy transfers, and other transfers, the reason for the transfer should be included in the transfer note itself and he will give the order in this regard. 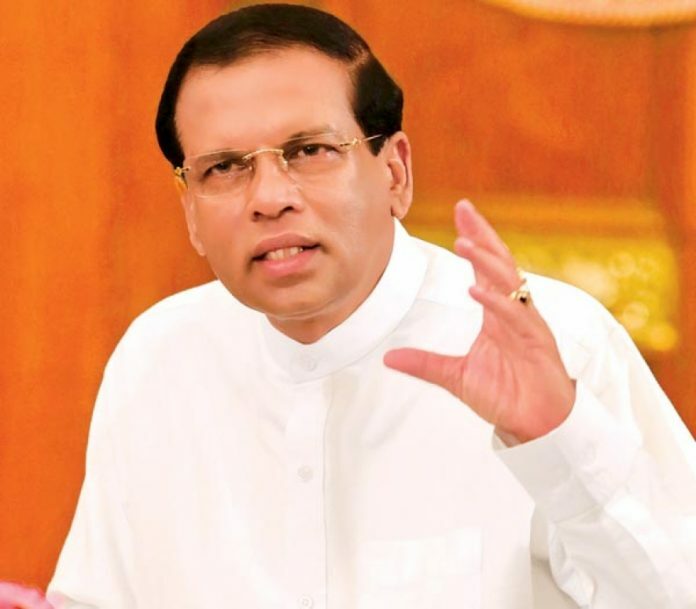 President Sirisena said that the above mention step will be taken to create an environment for all police officers to fulfill their respective duties with honesty at all times. He also said that as the President and the Minister in charge of the Police he will be committed to protecting the officers who perform their duties truthfully. The President said that he will establish a special unit to create a system to inform him personally, if a police officer is transferred due to the knowledge of the racketeers and smugglers, or personal harm or challenge occurred to them. One thousand and seven Policemen were handed over certificates of appreciation by the President honoring their attempts to make Sri Lanka a drug-free country – a concept that was initiated in 2015. He also expressed appreciation to them for ensuring a free and peaceful life for the citizens through their efforts to eradicate drugs, alcohol and organized crimes.